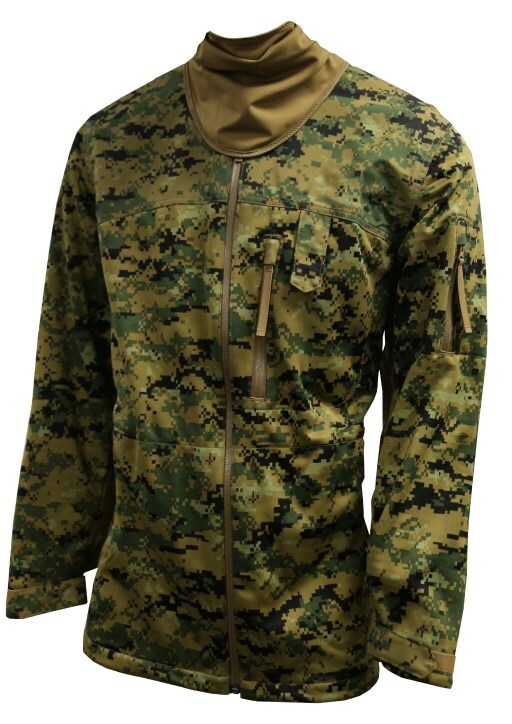 The CWJ is a lightweight, wind resistant, water/snow resistant, and sand resistant jacket intended to provide multi-climate protection, have minimal impact on the combat load, and utilize digital MARPAT woodland printed fabrics featuring moisture management, odor reduction, and breathability characteristcs. The CWJ is designed to be worn with the woodland Marine Corps Combat Utility Uniform during winter months. The CWJ features a stowable neck gaiter, upper sleeve pocket, a velcro cuff closer system on the sleeve, a chest pocket and a rank tab.